Worldwide more than a half a million foreign nationals are detained abroad. While entitled to assistance under international law, in practice only a few countries provide assistance to their nationals. One of these is The Netherlands. However, uniquely, as well as assistance provided by diplomatic staff, Dutch citizens detained abroad can also receive regular visits from ex-patriate volunteers in a scheme run by the Dutch Probation Service. 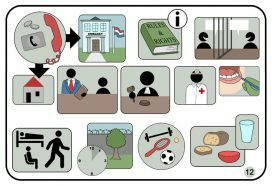 Femke Hofstee van der Meulen, Director of Prison Watch, evaluated the impact of the volunteer programme as her PhD and has summarised her findings for PRI’s expert blog series. This blog is one of a series of monthly expert blogs for Penal Reform International. Read a text version of this blog.